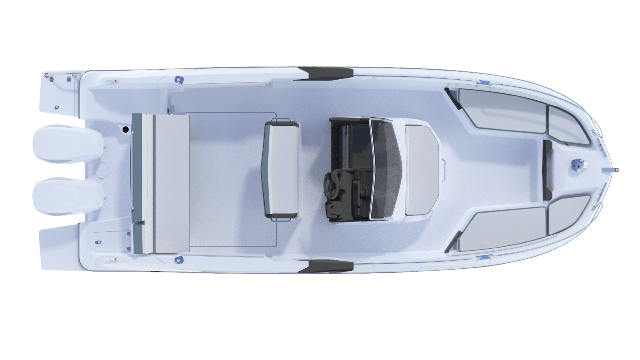 The Flyer 7.7 SPACEdeck is a generous boat in all respects, with a large cabin, two aft platforms to access the sea, a forward lounge, and extremely modular fittings with a high level of finish. 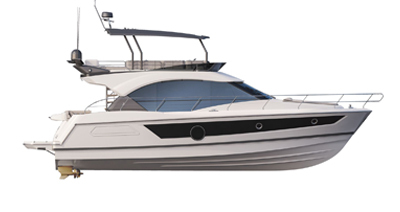 Built with the latest generation of Air Step hull, she is agile and very seaworthy. Large passages either side of the central driving console makes movement easy and fluid throughout the boat. The aft bench seat has storage built-in in the form of an ice box or live bait well. A clever system allows you to tip the seat back down and convert it into a sun lounger to enjoy the full living space of the cockpit. Spacious, the deck lounge has three bench seats. CE Certification C10 - D10 - maximum 10 passengers on board. Aft seat converts into a sun lounger with storage and built-in icebox - Forward saloon converts into sun lounger. 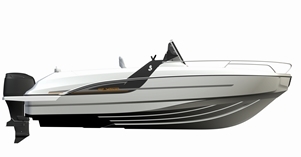 Single or twin outboard engine(s) - maximum power 300 HP - Holiday pack Suzuki engine.